When we say “plastic ukulele”, most people assume that we are talking about toys. That might have been the case in the past but today there are some great plastic ukuleles that are ideal instruments for travel. Water resistant and easy to keep clean! Why would you buy a plastic ukulele? First of all, they are inexpensive. Most of them are under $50 making them extremely budget-friendly. Furthermore, the plastic ukuleles are usually made in soprano size so they don’t take too much space, making them very portable. If you love the music and you are not shy about taking the uke and bursting into a song when the moment is right, the plastic ukulele is an excellent thing for you. They are very small, very light, and they produce an excellent sound even though they are made of plastic. Additionally, the plastic ukuleles require much less maintenance than the wooden ones. Plastic really doesn’t require much upkeep. As long as you keep it clean you are good to go. Another great thing about plastic instruments is the fact that these are all-weather, all-terrain instruments. They are not easily damaged by water, cold, or heat like the wooden ukes. This implies that they are also more durable and if you are an adventurous person, you will appreciate the fact that you can take your plastic ukulele anywhere you go. Of course, you shouldn’t expect the plastic ukuleles to replace the wooden ones for on-stage performances and professional recordings but they are very convenient for the travelers and beginners. As we have mentioned above, there are numerous advantages of plastic ukuleles and the following are the most prominent advantages of these instruments. Better durability. A plastic ukulele is much tougher and more resistant to weather changes than the wooden one. Regular wooden ukuleles tend to get damaged by extreme humidity and temperature while the plastic ones will stay in perfect shape. Water-resistant. This is the main reason why people buy the plastic ukulele. It’s just an amazing experience being able to take your ukulele to the beach, on the boat, on a camping trip, without having to worry about its safety. You can even submerge your plastic uke into the water, dump the water out of the sound box and start playing right away. Cheap. Price is one of the factors that most people consider the most important one. 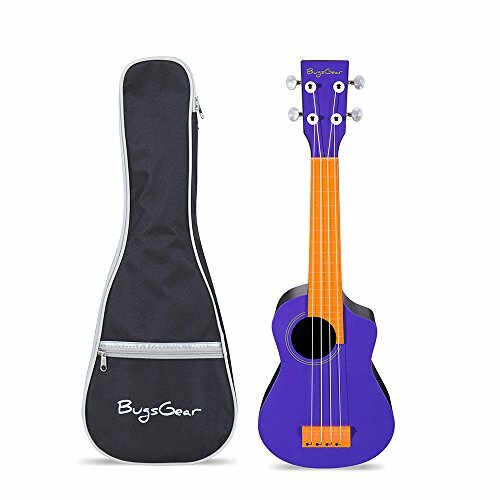 Well, plastic ukuleles are very cheap and thus excellent choice not only for a travel instrument but also as an instrument for kids. Sound quality. There are some models that sound amazing, but they will never sound as good as the ukulele made of wood. The plastic just can’t vibrate and resonate as good as the wood can. Not really beginner friendly. When someone is starting to play an instrument it’s already hard for them and the plastic ukulele might make that process even harder. It’s hard to see frets on the fretboard because the plastic simply blends in and the dots that indicate the fret numbers are also hard to see on these. Things you need to consider when buying a plastic ukulele are quite similar to those you need to consider when buying the wooden one, except, of course, the tonewood. There are numerous different brands of ukuleles out there and it can be really confusing to choose the best one. You should try to play different ukuleles before you buy one. This is the best way you can learn which brand suits you the most. If you can’t really try so many different ukes, you can always ask someone more experienced for an advice or read some of the user’s reviews on the internet. This is probably the most important factor when it comes to buying any instrument. No one likes to spend too much money. However, you shouldn’t just buy the cheapest uke you can find because it will probably sound terrible and you will lose the motivation to play. Since the plastic ukuleles are very cheap, you shouldn’t worry too much about the budget. For somewhere around 50 bucks you can buy a really good plastic ukulele that will last for a long time. Do your research before you buy. Read reviews, try your friend’s uke, and then buy the instrument when you have some knowledge about it. Consider all important factors; don’t just rush into buying the first thing that looks good. Don’t spend more than you can afford. This doesn’t mean buy the cheapest one. As mentioned before, consider your budget and save up a bit more if you don’t have enough but also, don’t aim for the pricier. 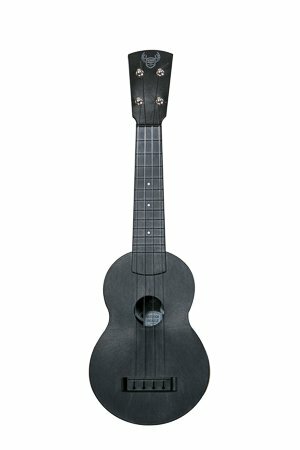 You can get the perfectly good plastic uke for less than 50 bucks. Don’t shop alone. If you are not sure what to buy, bring someone who knows a bit about ukuleles with you. Buy a tuner and some additional gear. Tuners are not expensive but they are very helpful. Also, get some spare strings and picks if you wish, although the ukes are generally played by fingers. The tuning gear is stainless steel for rust protection. Being made out of ABS plastic, the BugsGear Aqulele is unbelievably flexible to changes in mugginess and temperature. It even plays fine and dandy in the wake of being submerged in water! This body will withstand a great deal of beating and won’t effectively get harmed from being smacked around. Something that makes the BugsGear Ukulele so one-of-a-kind and intriguing is the curiously large and off-center sound hole. They say this is to give the little uke more prominent volume and projection, and we concur that it’s very uproarious. The fretboard has a fascinating cut to it, giving you access to the A string the distance to 18 frets which is extraordinary for a soprano ukulele. Overall, the sound won’t be confused for a ukulele made of genuine wood, however despite everything it sounds shockingly great. At the point when a great many people hear “plastic ukulele”, they likely think about a toy, yet this is a true blue melodic instrument. It doesn’t exactly have the spirit of a wooden ukulele, however, that is the exchange for extraordinary strength and water protection. This ukulele destroys everything else at this price point! The fact that you can get this for $40-50 is astounding! Another incredible reward for this plastic travel ukulele is the free gig bag that accompanies it. It includes a carrying handle, tie, and zipper stash. The Outdoor tenor costs a bit more and is developed from 2 infusion-molded bits of composite polycarbonate plastic. It accompanies Grover tuners and Rye Rabbit fluorocarbon light gauge strings. Notwithstanding the tuners everything here is plastic: the bridge, the saddle, the nut – it’s not a ukulele that you’ll be tinkering with excessively (if by any means). The main thing that will strike you about this ukulele is the setup. It’s the best setup ukulele I’ve ever played – the action and sound are top notch. It just feels great in the hands and it’s truly decent to play. On this point, it’s imperative to know that different things have been enhanced on the tenor model over the beforehand discharged soprano – the neck getting the most consideration and it’s incredible to realize that Outdoor are tuning into their group of followers. The Outdoor tenor comes in black, green or. In the hands the polycarbonate feels quite great, there’s a grip to it that stops your hands from slipping around when playing and it has a decent weight to it as well. The construction of this ukulele is better than average, you can see a considerable measure of thought and consideration has gone into the outline. The Woodi is the name of the company that makes these instruments and this uke is almost completely made of plastic. It’s a soprano size ukulele made of nice satin soft feel plastic that is very satisfying to hold. 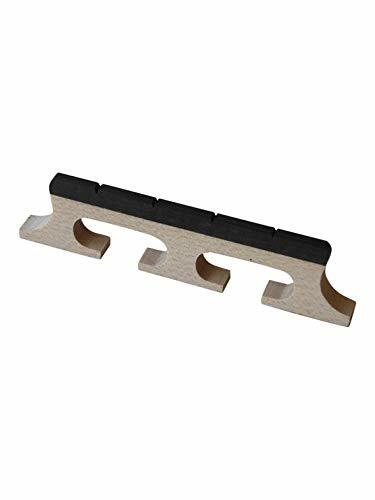 The sides, back, the back side of the neck and the back side of the headstock are made of one piece of plastic while the top, headstock face, and the fingerboard are attached as separate pieces. It feels very solid and strong and it’s nicer to touch than most of the other plastic ukes. It’s also a bit heavier than the most and it doesn’t feel like cheap plastic at all. The whole instrument except the fingerboard is screen printed and you can choose many different patterns, colors, and finishes. The bridge looks nice and it has a unique design to it. The saddle is molded into the bridge and you can’t really change the action if you want which is a downside. Luckily, the action is low and it feels very comfortable to play this uke. The fingerboard has 12 plastic frets that are painted but that seems like it will wear off quickly. Strangely, there are no markings that indicate the fret numbers. Overall, this is an excellent plastic ukulele for both beginners and professional players who like to take their ukes on their trips into the wild. Kala Makala Waterman offers you extraordinary esteem and quality for your cash. These plastic ukuleles are made of a high-quality polycarbonate sort of plastic, which makes it exceptionally tough. You won’t get a shaky instrument! Concerning outline, it has a truly standard ukulele design and it accompanies nickel-plated open geared tuners and Aquila Super Nylgut strings which ensure extraordinary sound appropriate out of the box. Quality ukulele strings are fundamentally essential for getting a decent sound. Also, it arrives in a wide assortment of hues. We think that the coolest rendition is the clear ukulele. It’s exceptionally intriguing looking! There’s no other word for it. You’ll additionally be astonished to realize that the Kala mark likewise offers you a glow-in-the-dark ukulele, which is something of a novelty, however entirely cool. This is a standout amongst the most popular choices on Amazon for a plastic ukulele. Individuals simply adore it! Overall, this ukulele is, obviously, water-safe and simple to clean up. It’s lightweight and it’s not hard to bear. The Korala Explore concert ukulele is a phenomenal incentive for cash. It takes a bit to get your head around how well it plays and how great it sounds given its brilliantly hued polycarbonate body – yet when you overlook the fact it’s not made of wood and dispose of to a great degree low price – you understand it is just a decent sounding ukulele. The old saying that you get what you pay for is normally valid, however not for this situation. You’d battle to get a concert uke that sounds in the same class as the Korala Explore for twofold the cash. The body is produced using tough polycarbonate, a powerful plastic. This is brilliantly hued, giving the uke some fun factor – yet isn’t painted. Here, the Korala Explore scores profoundly over the brilliantly shaded cheap soprano ukes – which frequently have extremely muddled paintwork. Something else to get your head around is the molded ABS fingerboard, with incorporated frets. This again is far better than the harsh painted wooden fingerboards regularly observed on cheap colorful ukuleles. It isn’t the first ukulele to utilize fingerboards of this sort – Magic Fluke ukes from the USA regularly use these, and they’re significantly more expensive than this concert uke! The advantage is the fingerboard is precision made, which means no harsh or gravely laid frets, no buzz, incredible low action (and this is inconceivable at this price level), awesome, precise sound up the neck. As you can see, plastic ukuleles are not really just toys. They can be serious instruments too. Not only that, but they also have some advantages over the wooden ones, such as water-resistance. In our opinion, the best plastic ukulele is the Kala MK-SWT because it has an exceptional value for the cash. For less than $50 you get an excellent ukulele that has an excellent tone for a plastic instrument, is made of high-quality polycarbonate plastic and you can carry it around anywhere you want because it’s sturdy enough to withstand some serious beating. 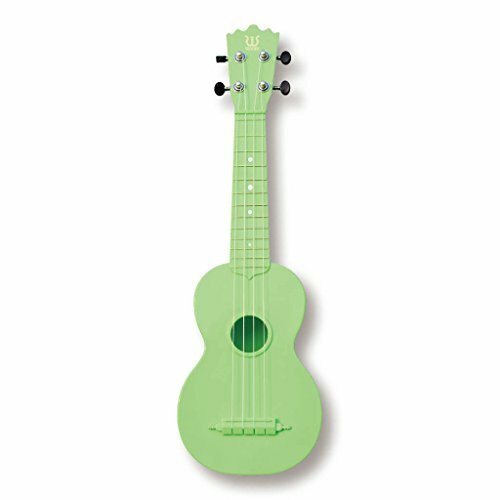 Additionally, you can buy this model in many different colors including the clear ukulele and the glow-in-the-dark ukulele. Perfect!